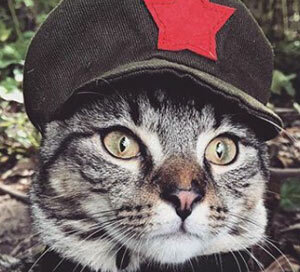 Tensions with North Korea were strained further today, as Lenin Cat declared his allegiance to Chairman Meow, potentially shifting the balance of global power and unsettling already volatile financial markets. 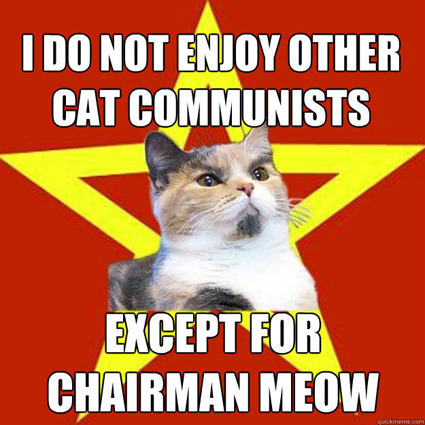 Many see Lenin Cat’s declaration of support for Chairman Meow as an insult to Communist North Korean leader Kim Jong-Un, whom Chairman Meow has condemned for years. 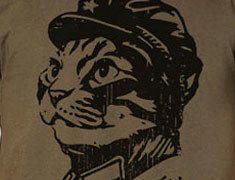 In response to Lenin Cat’s declaration, Kim Jong-Un positioned an extra 10,000 North Korean troops on the border with the South, and reportedly fired a large rocket into the South China sea; claiming that it killed “many delicious fishes, including salmon,” a favorite meal of the kitteh. 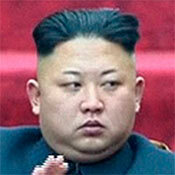 He also claimed that the country is perfecting a large, nuclear-powered space laser pointer that can reach as far as North America; potentially rendering cats there helpless against it’s attraction. This entry was posted in fake news and tagged chairman meow, kim jong un, lenin cat, lolcat, memes, russia on September 19, 2015 by admin.